A case of pan-drug resistant NDM-producing K. pneumoniae CPE that resulted in a fatal infection in a US woman has prompted a lot of coverage and discussion on both sides of the Atlantic. Although this report is concerning, not least because the patient succumbed to the infection, this is hardly a new scenario. There are parts of the world where pan-drug resistant CPE are commonplace and have been for years (for example parts of India, the likely country of origin of the organism in this case). Before getting to the case report in detail, let’s take a moment to review this case series from India, published in 2014. 13 patients with pan-drug resistant Gram-negative bacteria (7 of whom were infected with K. pneumoniae, 4 of these 7 died) were reported in a specialist cancer treatment centre over 18 months over 2012/13. This evidence, from half a decade ago, shows that pan-drug resistant CPE is by no means a new phenomenon! And so to the case in question. A woman in her 70s with frequent travel and healthcare contact in India presented to a hospital in Washoe County, Nevada, in the summer of 2016 with sepsis, probably linked to an infected right hip. Cultures grew an NDM-producing K. pneumoniae that was resistant to all 26 antibiotics tested, including colistin (not by means of a plasmid-mediated mcr gene) and tigecycline. The patient died a few weeks later. Contact tracing suggested that no transmission occurred (good job infection control team)! This reinforces the importance of overseas hospitalisation as a risk factor for CPE. This also came out in our screening study in London; the only significant risk factor for CPE carriage in a very low prevalence setting was overseas hospitalisation. Is this case a glimpse of the future of ID globally? The introduction to The Drugs Don’t Work by Prof Dame Sally Davies, Dr Jonathan Grant, and Professor Mike Catchpole presents a similar, untreatable case as a thought-provoking scenario. However, these ‘headline grabbing’ cases are currently rare in most parts of the world. There is perhaps an argument that bacteria won’t ‘bother’ to retain resistance to obscure antibiotics that are tested in a lab but rarely used in the field because of the fitness burden of antibiotic resistance from a bacterium’s viewpoint, especially in community settings. But then again, do they need to? 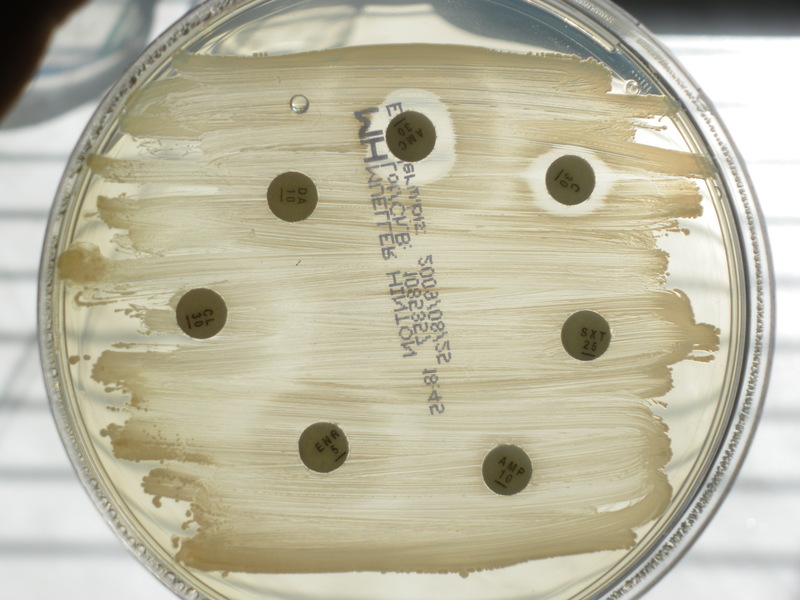 Once you lose key classes of antibiotics (especially the carbapenems for Enterobacteriaceae), you are not left with many options for treatment. So, the real issue isn’t so much pan-drug resistance, but losing the key agents. In this sense, we will reach the end of antibiotics before we get to universal pan-drug resistance. And we are there already in some parts of the world.